James Little is a meticulous craftsman who creates his own colors with pure pigment and heated beeswax and layers each hue multiple times in parallel bands on the canvas. This technique gives his paintings a formal intelligence, a depth of color and an exciting energy that is all their own. 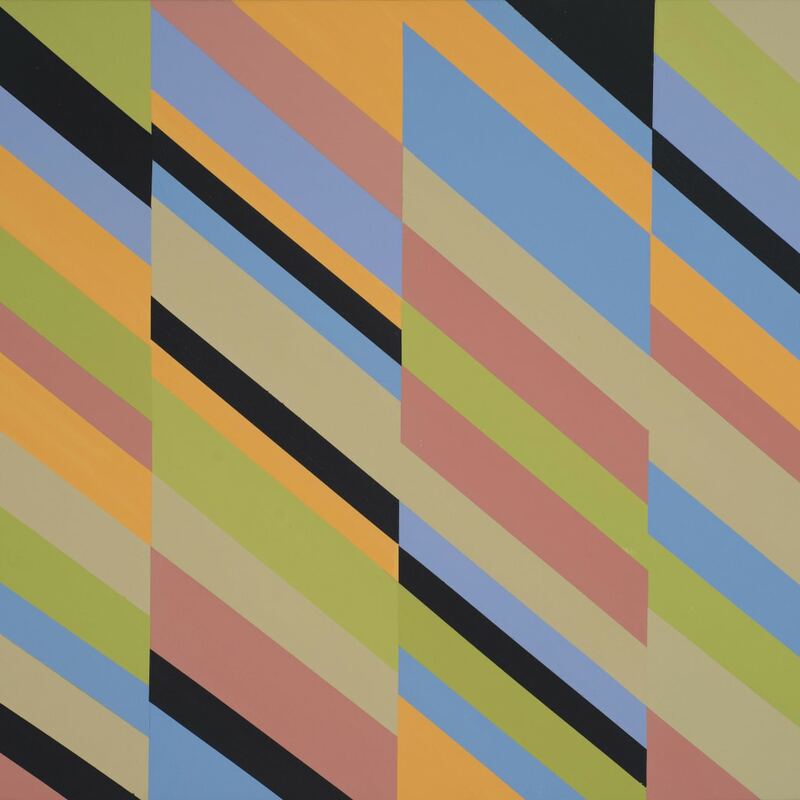 In his new paintings, color and structure are critical fixations that in Little’s work complement his geometric pictorial style. The edges of his vertical bands are saturated with lucid color as they give way to other patterns—chevrons, rectangles and zigzag designs of varying widths.